Custom turbo sales and fabrication, and EFI tuning are some of the services that RPM Motorsports can provide for you. We also provide the necessary support equipment including fuel systems and ignition systems to complete the performance package. RPM Motorsports can provide you with on-site testing and tuning, and help with the development of any type of turbo system. 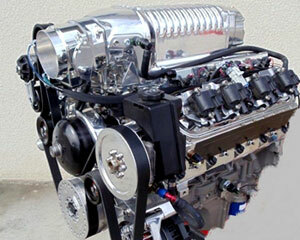 RPM Motorsports are dealers for all the popular supercharger brands. A&A Superchargers, Procharger, Whipple, Magnuson, Vortech, just to name a few. With professional installation and tuning, we can meet your goals.